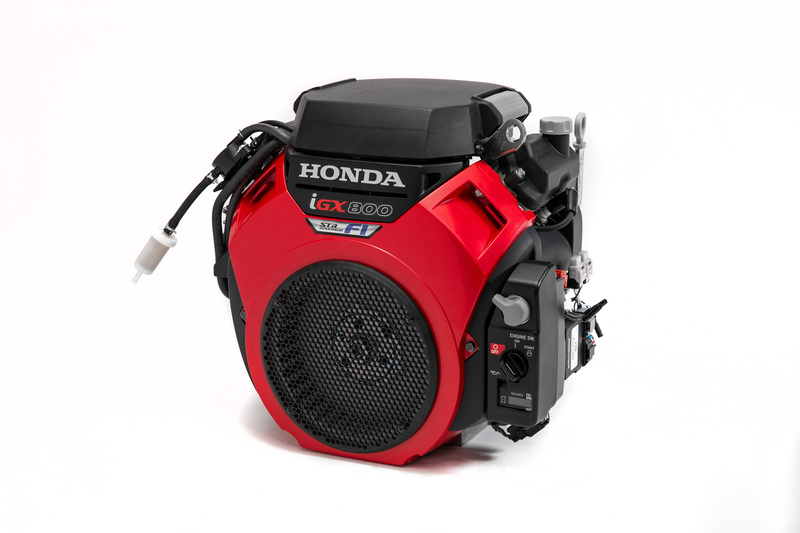 The new iGX models feature an integrated ECU with a self-tuning regulator (STR) governor system that allows the engine to communicate with the machine it is powering to achieve optimal performance by monitoring key parameters and controlling engine speed to meet the application’s requirements. The ECU oﬀers the possibility to accurately diagnose various engine systems including the EFI and ignition systems. Contact IPS and be one of the ﬁrst manufacturers in your industry to utilize the features these new engines oﬀer. Pressure washers: Engine idles or stops when washer is not used. Engine starts and engine speed increases automatically when washer is in use. Water pumps: Engine starts on command by a water level sensor / switch. Backup generators: Engine starts automatically when the grid power goes oﬀ. Generator operation: Engine idles down until a power demand is required, which reduces fuel consumption and noise level. In addition, the engine rpm remains stable independently of the load on the generator ensuring a stable current output. Samples of the new iGX models are available now! Please call to learn more. 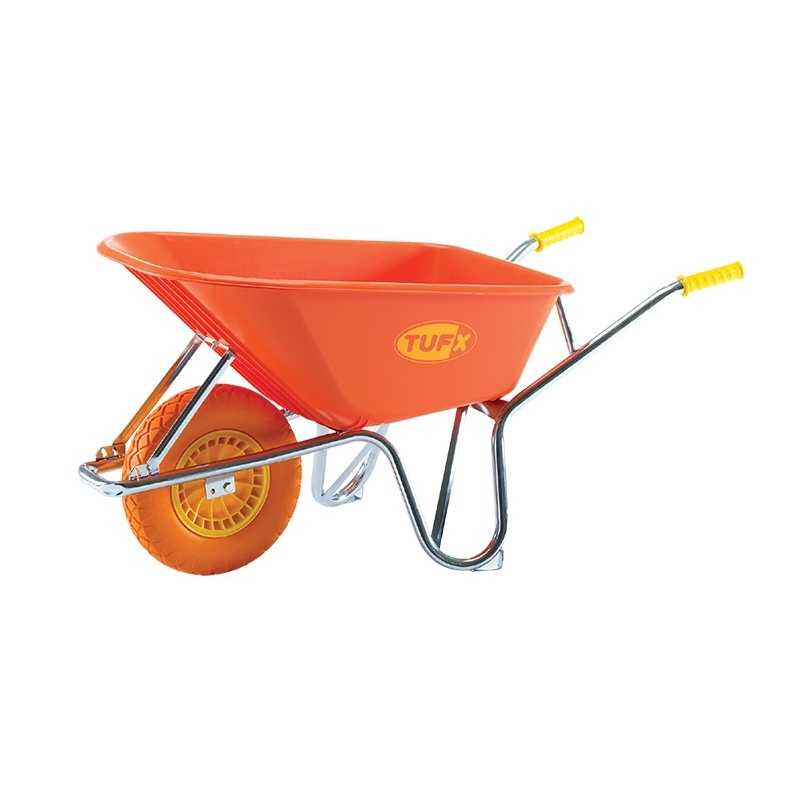 IPS is proud to announce the addition of TUFX wheelbarrows to its growing assortment of premium products. TUFX wheelbarrows feature rugged frames and heavy-duty trays, and are designed with professional contractors and landscapers in mind. The ergonomic, lightweight design decreases the risk of overexertion and excess stress on the body, while enabling increased control over balance and steering. Contractor-grade models come with a lifetime warranty and are equipped standard with flat-free tires, so you can maneuver with confidence on rocky ground and craggy terrain. End users and resellers alike appreciate the simple and fast assembly, which takes a fraction of time compared to traditional wheelbarrows. TUFX hand trucks and cement mixers are also now available through IPS. Tufx-Fort Manufacturing, originally from Holland, has been an established manufacturer in Canada for over 30 years. Their Canadian-made wheelbarrows are manufactured in the company’s large manufacturing facility in Waterloo, Ontario. IPS is a distributor in Oakville, Ontario, that strategically acquire new lines of products that are durable, sustainable, and well-suited for the demanding conditions of the Canadian environment. More information about IPS products and services can be found on the company site, www.ipspower.com. For product specifications, please click here. IPS is proud to announce its partnership with OREC Japan as their exclusive distributor in Canada. OREC has been building innovative and reliable outdoor power equipment to fit customers' changing needs since 1948. OREC has a long-standing reputation in Europe and Asia for building high-quality landscaping equipment and providing the highest level of service. In 2010, their first North American presence was established as OREC America, and now IPS is pleased to bring this exceptional line of professional landscaping equipment to Canada as well. The Maddog is a lightweight, durable mixing system that can quickly and efficiently mix concrete, mortar, grout, and stucco with water. The patent-pending integrated system includes specialized blades matched with a contoured tub to consistently mix products quickly and precisely. Easy to use and easy to clean, it is great for small to medium sized jobs for both contractors and DIYers alike. Mix: Quickrete and aggregate for concrete and mortar mixes; premixed concrete and mortar mixes like SACRETE products; tile setting mortar and grouts; plaster mixes like stucco, interior plaster, and gypsum; and more! Maddog is a great alternative to hard-to-transport drum mixers, and it will outperform the inconsistent mixing and small volume capacities of a paddle mixer! Get Maddog - Contact IPS today for more details! 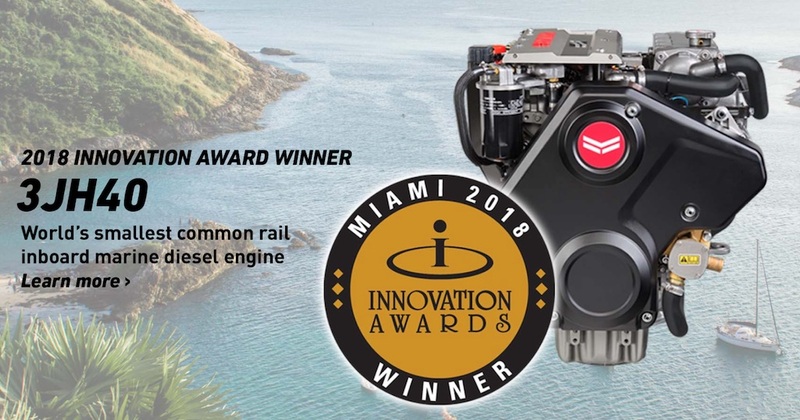 The Yanmar Marine 3JH40 has won the 2018 Miami International Boat Show innovation Award for the Inboard Engine category! The 3JH40 is the world's smallest common rail inboard marine diesel engine in displacement, dimensions, and weight. 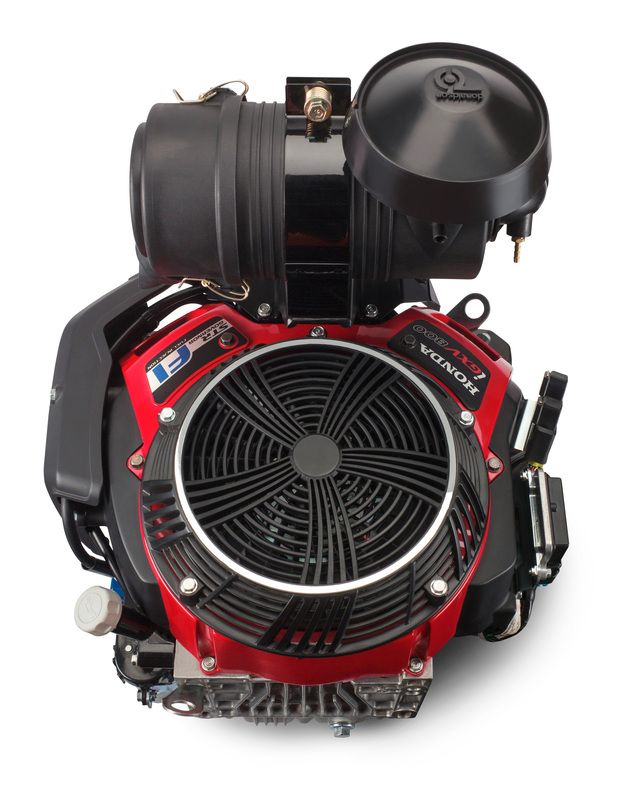 Find out more information about this innovative new engine at Yanmar Marine. IPS is sponsoring Hailey McNicol, #17 of McNicol Motorsports Team! IPS Takes Home an Award at the AORS this Year!